One of a number of collapsible horns marketed in the early 1900s; these ads date from 1907. Other collapsible or portable models included fabric horns with folding umbrella-type metal ribs, and sectionals that bolted together for use. 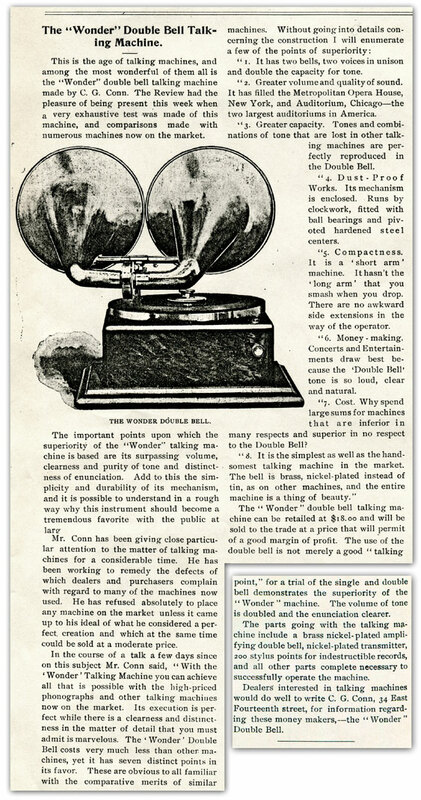 The double-horn idea soon resurfaced in the Kalamazoo Duplex machines, which ultimately suffered a legal defeat in federal court over patent infringement (Victor Talking Machine Co., et al., v. Duplex Phonograph Co., 177 F. 248, May 1909). Several European manufacturers also produced twin-horn machines, at least one of which was exported — See our posting on the Simp phonograph from Italy, which was advertised in the U.S. in 1908. For a long time it was uncertain whether discs were ever manufactured showing the Wonder trademark. But eventually a specimen did surface, which was reported by researcher George Paul in Antique Phonograph Monthly (Vol. V, #1). Another example is pictured below, in a photo that was supplied to Kurt Nauck for his ARLIE compilation (a new version of which is in the works, by the way). Like other early Armstrong-related brands, these are pressed in a fibrous, brick-red material. It’s not known whether these two examples are pirated pressings. As George observed in his APM article, Conn’s Wonder catalog contained a large listing of discs that are simply Berliner numbers with the digit “1” preceding the Berliner catalog numbers. The two examples reported here, however, have numbers not corresponding to Berliner. Both titles were recorded for Berliner by groups of the same type (a vocal quartet on George Paul’s copy, a brass quartet on the item pictured here), but so far as we know, aural comparisons haven’t been made. 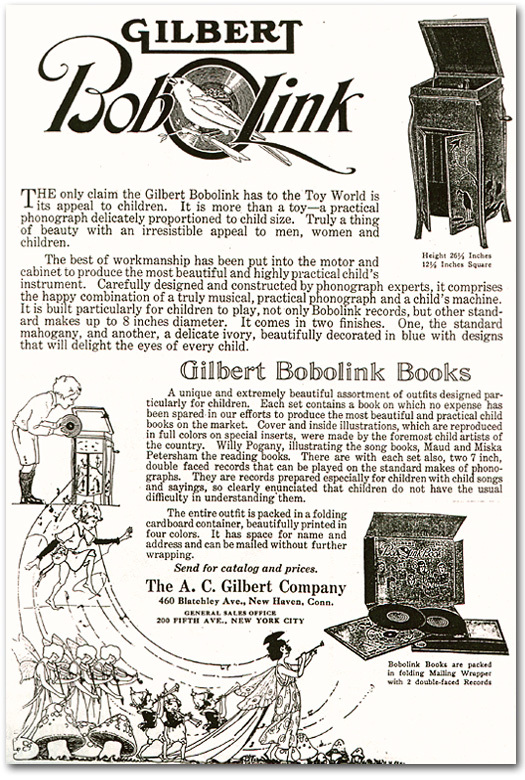 First advertised in the autumn of 1921, Bobolink records and phonographs were an attempt by toymaker A. C. Gilbert to compete with Columbia’s popular Bubble Book sets. The phonographs were perfectly scaled versions of the “grown-up” machines. 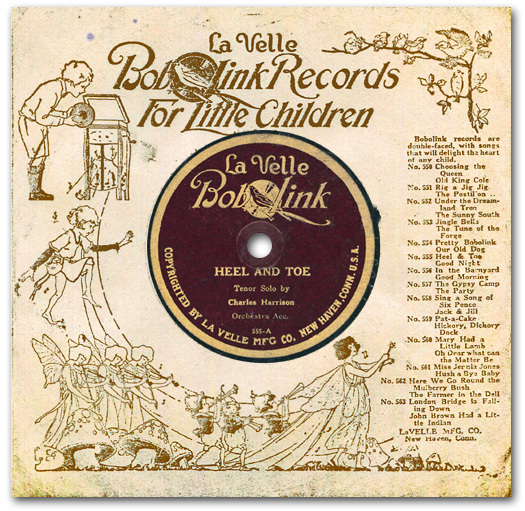 The 7″ Bobolink discs originally were sold in sets of two, specially packaged along with Bobolink books that were illustrated by Willy Pogany and Maud and Miska Petersham. Initially they retailed for $1 per set. In early 1922 A. C. Gilbert sold the Bobolink business to brother F. W.’s newly incorporated La Velle Manufacturing Company (New Haven), and the label credits were changed accordingly. La Velle specialized in girls’ toys, so the company introduced new phonograph designs that were more decorative than the earlier A. C. Gilbert products. 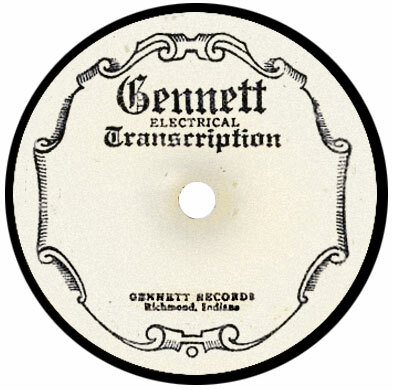 The La Velle discs could be purchased individually, in paper sleeves. 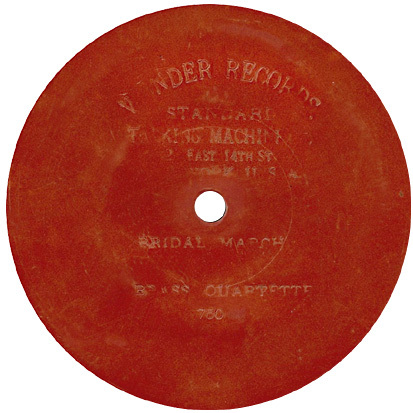 F. W. later had new 6″ Bobolink masters made, which appear to have pressed by the Bridgeport Die & Machine Company. At least one 6″ disc is known that was pressed from one of the original 7″ masters and thus is missing its outer rim and first few grooves! Here’s another Bobolink session we found in Kirkeby’s logs, again with the New York Recording Laboratories (Paramount). This entry is not marked for Gilbert, suggesting it might have taken place shortly after the business passed to La Velle. These recordings are # 562 and # 563 on the sleeve listing (so far we haven’t found an entry for the “John Brown” title on # 563). As with most of his other early vocal bookings, Kirkeby supplied only the singer, not the accompanists. A couple more early Okeh race-artist ads, from 1921 editions of The Talking Machine World. Okeh spared no expense for these ads, which were specially printed as single-sided color inserts. These pseudonyms were used in Hager’s publishing business as well as in his and Ring’s work for Okeh. The actual identities of both are confirmed in multiple early-’20s listings in the U.S. Catalog of Copyright Entries, the official federal registry of copyright filings.